… and I didn’t say “upload”. re.vu is one of many tools in the market that enables a user to pull in and edit his or her LinkedIn data to produce stylish web-based “personal” infographic(s). I choose it, because it was first to pop-up in my Google search results – and take it as an example for all the other products out there. Actually there is a lot of thoughts on the future of candidates’ presentation in the web community. Will it be Pinterest, SocialCV, infographics or something totally different? Speaking of infographics, back to re.vu: The infographic layout, which could be customized, focuses on basic data such as name, title and biography, social links and career timeline — it also enables a user to add more graphics, including statistics, skill advancement, proficiencies, quotes and interests over time. I like the “percentages” feature, where you can highlight figures which you think represent your career stages best. 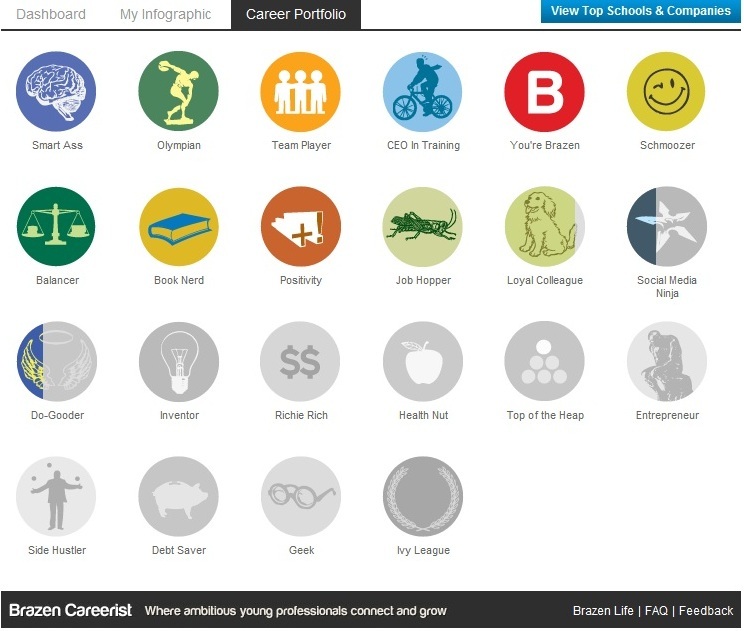 Besides the career timeline that is generated via the LinkedIn connection, the other graphics can be tedious to create, as all the details must be entered manually. A nice feature is that you can give the page a more personal appeal by integrating pictures or moving the various design items. In the end a partly interactive infographic resume is generated. As you can easily update your data, this page is an always accurate and recent CV. There are strong arguments for this kind of presentation from the candidates perspective. Besides its non-static data and customizable appeal, it also re.vu also offers the possibility to integrate more detailed data, files and hyperlinks. Though, some candidates (and some candidate advisors) tend to tailor their CV for certain employers/jobs. This might be even more work than in the “past”. Also, with these kind of tools, you still have full control over the personal data you like to share with potential employers. But also from an employer point-of-view I could see some arguments for infographics resumes: the biggest fear of every recruiter is that they find a non-standard rather chaotic CV, have to search for data or at least do not find data at the expected place. All of this costs time… With such a tool like re.vu there will be some fresh and not-so-boring looks, but not for the price of some of those disadvantages. Data will still be structured (customization is limited, which doesn’t happen on personal homepages) and if you are interested in getting more detail to e.g. some career stages, just move your mouse over it. This makes it partially even better to read than the common pdf/word documents. So, recruiters out there start getting used to this kind of candidate presentation. Maybe I start trying kinzaa next, but maybe some of you already tried it and would like to share their experience?